Alfred Binet, one of the most influential French psychologists and scientists, is known for his extensive research related to the mental capacity of humans. He revolutionized the fields of education and psychology, especially in regard to intelligence testing. Binet’s findings were way ahead of his time, and although he did not quite realize the true worth of his contributions, his name is cemented in the world of psychology. Binet also authored many publications about psychophysics and creativity, including the legendary “L’Année psychologique”, which is still regarded as an important psychology journal. Born in July 1857, in Nice, France to a physician father and artist mother, Binet’s parents were divorced when he was quite young. He was mostly raised by his mother. At 15, he received several awards for his extraordinary skills in literary composition and translation at the prestigious Louis-le-Grand school. Law and medicine were his favorite subjects. He acquired a degree in law but chose not to pursue a law career. While in his mid-twenties, Binet educated himself by reading psychology books at the National Library in Paris. There, he studied the developments and trends in psychology. He was inspired by the works of Theodule Ribot and John Stuart Mill, and that boosted his enthusiasm for sensory and associationistic psychology. Binet met neurologist Jean-Martin Charcot at the Salpêtrière Hospital in the early 1880s and was fascinated by his work. Putting his legal training behind him, Binet worked at the hospital and extensively researched and published work on hypnosis and hysteria. While asserting a controversial theory, he gradually comprehended the nature of suggestibility on psychological experimentation. In 1884 Binet married Laure Balbiani, the daughter of the famous embryologist Edouard-Gérard Balbiani. They had two daughters, Madeleine and Alice, who were born two years apart. Binet gave up his position at the Salpêtrière hospital in 1890. Instead, he devoted his time to his daughters. He carried out home experiments with his two children and observed their behavior and responses in a systematic way. Subsequently, he published three papers describing his observations, explaining experiments that dealt with individual differences and the measuring of intelligence. In 1892 Binet volunteered at the Laboratory of Experimental Psychology, Sorbonne. Three years later, in 1894, he was made director, a position he held until his death. He worked with Henry Heaunis and Theodore Simon to found the psychology journal “L’Année psychologique” (translating as Psychological Year journal). The journal is widely considered to be one of the most important contributions in the history of psychology. French physical chemist Victor Henri briefly helped Binet with the investigations of visual memory and research regarding individual psychology. 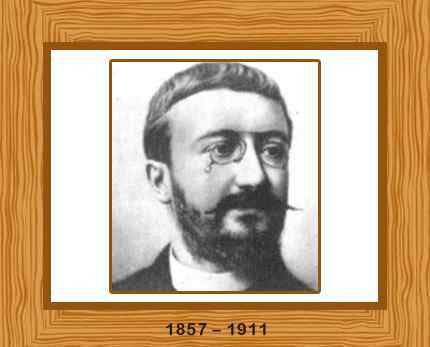 Binet became a member of the Free Society for the Psychological Study of the Child and he also served on a French Commission for the Education of Retarded Children. Binet’s methods were published in 1903 in the book “L’Etude experimentale de l’intelligence” translated meaning “The Experimental Study of Intelligence”. Binet’s experimental research also involved schoolchildren. In 1905, Binet, together with his research assistant Theodore Simon, introduced tests for measuring the intelligence of children. The test involved thirty tasks of increasing difficulty. These tests would represent the mental milestones of a developing child. Numerous children were then tested resulting in an average score for a particular age. A child’s performance in the tests could then reveal their mental age, compared to a ‘normal’ result. This Binet-Simon scale was a landmark development and helped identify children with learning difficulties. The Binet-Simon scale became hugely popular world-wide. Binet recognized that the tests were not perfect and stressed that mental development can progress at different rates in children. A second revision of the Binet-Simon scale was published in 1908 and a third revision in 1911, just before his death. Binet died on October 18, 1911. In 1917, The Free Society for the Psychological Study of the Child voted to change their name to La Société Alfred Binet in his honor.